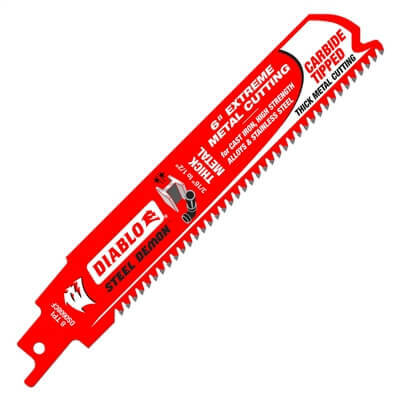 We checked the big box stores and our Freud Diablo 9"-8 TPI saves you $4.59 (51%) compared to a Lenox blade... and it cuts 4" cast iron pipe in less than one minute! The perfect blade for mechanical contractors, plumbing, auto dismantling, and all applications where thick metal cutting is required. 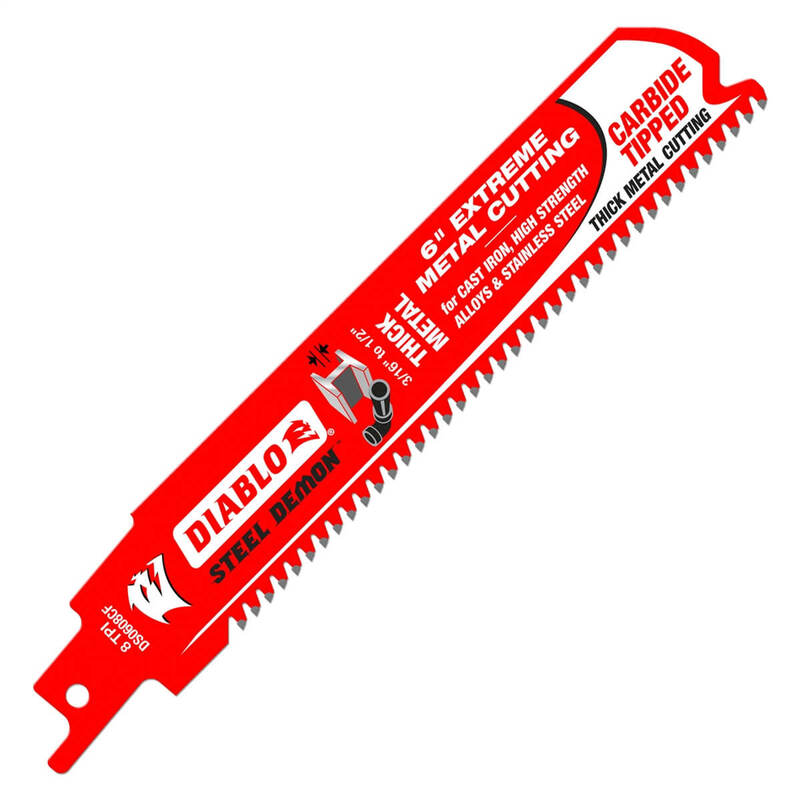 The Diablo Steel Demon Carbide-tipped reciprocating blades are the first carbide-tipped blades designed for extreme metal cutting including high strength alloys, cast iron, and stainless steel. This high performance carbide-tipped blade delivers unmatched 20 times longer cutting life than standard bi-metal blades in extreme thick metal cutting applications between 3/16" to 1/2". The blade was as advertised and shipping was fast.